Q: How is Lawnlift different from the other cheaper products I see? A: Lawnlift is a superior product in all categories. Lawnlift: Uses only earth derived pigments that garner us the best color match in the industry. The Competition: Uses cheap manmade liquid dyes that either look fake, look ok but fade quickly or quickly turn turquoise. Lawnlift: uses expensive UV protected nontoxic binders to insure the products stays green and last longer. The Competition: Uses little to no binder insuring a faster fade that you will have to reapply 3-4 times as often. Lawnlift: Is super concentrated and dilutes 1 part with 10 parts water giving you more bang for the buck. The Competition: Mixes 1 part with 4 to 6 parts water so overall cost tends to be more. Lawnlift: Binds to the grass, dries quickly, will not come off with water application and once dry will not rub off on shoes, paws or clothing. The Completion: Never actually binds to the grass, runs off with water application and rubs off on everything. Lawnlift: 100% manufactured in the U.S. The Competition: Manufactured in Mexico, China, Canada or India and rebottled in the U.S.
A: LawnLift contains no hazardous chemicals, heavy metals or other inert ingredients harmful to plant life, turf, humans or pets. Q: When it rains or the grass is wet, will LawnLift run or rub off on shoes, clothes or pets? Q: How long will the color last? is an important component of product stewardship and workplace safety. 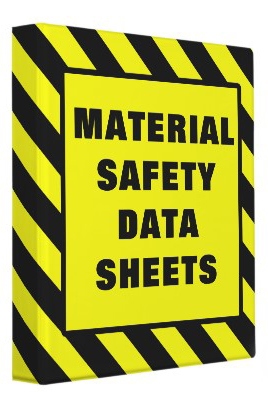 It is intended to provide workers and emergency personnel with procedures for handling or working with that substance in a safe manner, and includes information such as physical data, toxicity, health effects, first aid, reactivity, storage, disposal, protective equipment, and spill-handling procedures.